Wikileaks has released The Saudi Cables which contain “more than half a million cables and other documents from the Saudi Foreign Ministry that contain secret communications from various Saudi Embassies around the world.” We’re going through the leaks on Global Voices Online MENA with a Special Coverage (page not up yet). We divided up the tasks, with me taking Lebanon and Palestine. I’ll also be writing here on the Lebanon stories. The post will be continually updated in the upcoming days and weeks. New updates will be announced on my Twitter Account under #SaudiCables and I’ll be linking to other blogs/sites who are reporting on it at the bottom. I’m calling on all bloggers and alternative news sources to report on the Saudi Cables to counter the defacto silence that we will hear from most mainstream media outlets in Lebanon and the Arab World. So far, Al Akhbar (Arabic) is the only one reporting (please link other below). Coincidentally, the leaks came just a month after I wrote the ‘Understanding Lebanon’s Media‘ piece in which I tried to explain the mechanisms behind how our mainstream media works (simpler than you think) and how they promote division among the Lebanese rather than unity. The #SaudiCables reveal what we all already knew: Saudi Arabia "diplomacy" is essentially implementing networks of bribes. “On Monday, Saudi Arabia celebrated the beheading of its 100th prisoner this year. The story was nowhere to be seen on Arab media despite the story’s circulation on wire services. Even international media was relatively mute about this milestone compared to what it might have been if it had concerned a different country. How does a story like this go unnoticed? Today’s release of the WikiLeaks “Saudi Cables” from the Saudi Ministry of Foreign Affairs show how it’s done. The oil-rich Kingdom of Saudi Arabia and its ruling family take a systematic approach to maintaining the country’s positive image on the international stage. Most world governments engage in PR campaigns to fend off criticism and build relations in influential places. Saudi Arabia controls its image by monitoring media and buying loyalties from Australia to Canada and everywhere in between. So this is what we’re learning about Lebanon so far. Please feel free to comment and add leaks (with a short summary) in the comments and I’ll add them here. The most notable leak so far has to do with Lebanese Forces (LF) leader Samir Geagea. Moral bankruptcy being the norm, we learned that he essentially put his services under Saudi Arabia’s command after declaring financial bankruptcy. Funny how one of the most popular leaders of the Lebanese Christian Right is so keen on forging an alliance with one of the most brutally anti-Christian governments in the world (here’s a leak related to Saudi Arabia forbidding Ethiopian Christians from praying at home). The cable reveals that a representative of the LF Party, Elie Abou Assi, visited the Saudi diplomat who wrote the cable and requested financial assistance in the name of Samir Geagea relating to “difficulty of the financial situation of the party and to a certain extent have become unable to secure the salaries of employees in the party”. Geagea said “I am broke and willing to help KSA” (doc36598). Buying Silence gives the example of the Lebanese TV station MTV accepting millions of dollars in Saudi money. This is part of the Kingdom’s propaganda strategy as detailed in Wikileaks’ report: “One of the ways “neutralisation” and “containment” are ensured is by purchasing hundreds or thousands of subscriptions in targeted publications. These publications are then expected to return the favour by becoming an “asset” in the Kingdom’s propaganda strategy. A document listing the subscriptions that needed renewal by 1 January 2010 details a series of contributory sums meant for two dozen publications in Damascus, Abu Dhabi, Beirut, Kuwait, Amman and Nouakchott. The sums range from $500 to 9,750 Kuwaiti Dinars ($33,000). The Kingdom effectively buys reverse “shares” in the media outlets, where the cash “dividends” flow the opposite way, from the shareholder to the media outlet. In return Saudi Arabia gets political “dividends” – an obliging press.” It is in this context that the Saudi Government paid MTV. MTV asked for $20 million but received $5 Million (doc83763). 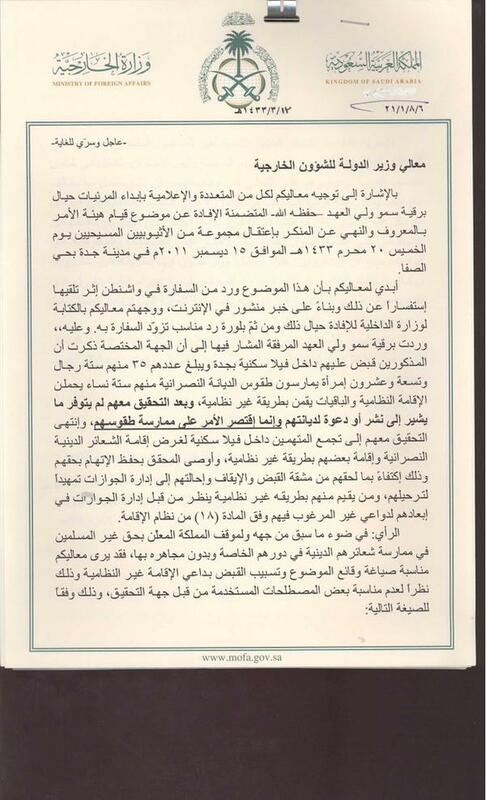 Lebanese MP Boutros Harb asked Saudi Arabia for financial and political support to create a political party (doc32628). Saudi Arabia asked for the release of members of Fatah Al-Islam, the group which fought the Lebanese Army in 2007 (doc101213). A source close to Hezbollah told the embassy that the CIA tried to infiltrate it via an MP from the Amal party (Hezbollah allies), Ali Bazzi (doc113007). Former Prime Minister and leader of the Future Bloc Saad Hariri “gave the Saudi ambassador some articles in Saudi media criticizing him and the Saudi foreign minister subsequently asked for censoring the writers of those articles” (doc118847). Amin Gemayel, former president of Lebanon and former head of the Kataeb, asked Saudi king for permission to visit Syria on ‘political affairs’ (doc38838). Head of Lebanon’s Press Syndicate Aouni al-Kaaki said: “I resisted Iran’s lure … I’m in debt” (doc120445). Lebanon asked for Saudi support to maintain Roumieh prison (doc183337). More updates will be added to the list as they come. Please link any updates you see here or on Twitter @joeyayoub. Wondering who leaked the information and what they thought would come of it?